MUNICH — From a digital point of view, the Norwegian Erik Nissen Johansen is at the forefront: Even his cat has Instagram. No wonder then that the hotel designer also pays attention to Instagram on the professional front. Johansen is the founder and creative director of the design agency Stylt Trampoli, based in the Swedish city of Gothenburg and responsible for the appearance of more than 400 restaurants and 250 hotels worldwide. "I always have the perfect photo angle in mind when planning," the 53-year-old says. As more and more guests post photos of their hotel on the social media platform, the industry is adapting. Many hotels are now specially designed so that they are picture-friendly. This is called instagrammability. Johansen has just converted the hotel Downtown Camper by Scandic in Stockholm, turning it, as he claims, from "the most boring hotel in town to an inspiring base camp for urban exploration." The team added an extra story to the building, which now has an infinity pool. There, the guests can swim with the royal castle in the background "at one of the most instagrammable selfie locations in Stockholm," says the designer. The ability to post photos on Instagram are, especially for millennials, often a decisive factor in choosing a holiday destination. Last year, a British holiday home insurance company, Schofields Insurance, asked more than 1,000 Britons aged between 18 and 33 what was the most important criteria when choosing a holiday destination. For 24%, it was the availability of alcohol, while sightseeing opportunities didn't seem to play a major role gathering just 4%. In contrast, 40% responded that the instagrammability of the location was important. "Nowadays, prestige is no longer measured by expensive watches, but by experiences that you have and your friends don't, and for which they envy you," Johansen says. For many young travelers, happiness thus seems to mean being able to use key words to comb the Internet for such places and, once they're there, reproducing poses they've seen on social media platforms such as Instagram or YouTube. Hoteliers who want to meet the demands of such guests and influencers who upload photos to their accounts, often followed by tens of thousands of people, are currently doing well to equip rooms and lobbies with screed, succulents and shell armchairs all in garish colors. Or to place freestanding bathtubs in front of panorama windows. And in the background, you need something flashy, a wall graffiti of local street artists, or a six-meter-long model of the Concorde from a Paris flea market, as Johansen had exposed in the recently-opened 25hours hotel Das Tour in Düsseldorf. This trend of reproducing cliché poses has even inspired one Instagram account, Insta Repeat, which combines recurring themes in one picture: The same cloudy cliff with a single person at its top. The same tent opening which frames a breathtaking sight of nature. The same "shoefie". Insta Repeat mainly shows outdoor snapshots, but the same concept would also work for hotel photos. Take, for instance, the Stamba Hotel which opened in Tbilisi, Georgia just a few months ago. The grey concrete skeletons of the brutalist building, drop shadows on the strict black and white of the geometric floor tiles, the densely-filled shelves of an XXL book wall all testify to the desire for repetition. "Humans like to absorb information visually. Instagram serves this inclination," is the succinct explanation of Ia Chekheria, a young architect of the Adjara Group, which is responsible for the design of the Stamba Hotel. It should be clear to everyone that Instagram is increasingly becoming a marketing platform where people can post beautiful photos and short texts, sometimes for a fee. Only in June, the Berlin Regional Court ruled that Instagram links to other companies and brands must be labeled as advertising. For real information about a hotel or a holiday destination the platform is rather not suitable, and not as objective as Tripadvisor or Holidaycheck. "Today people inform themselves about their holiday destination on different platforms. 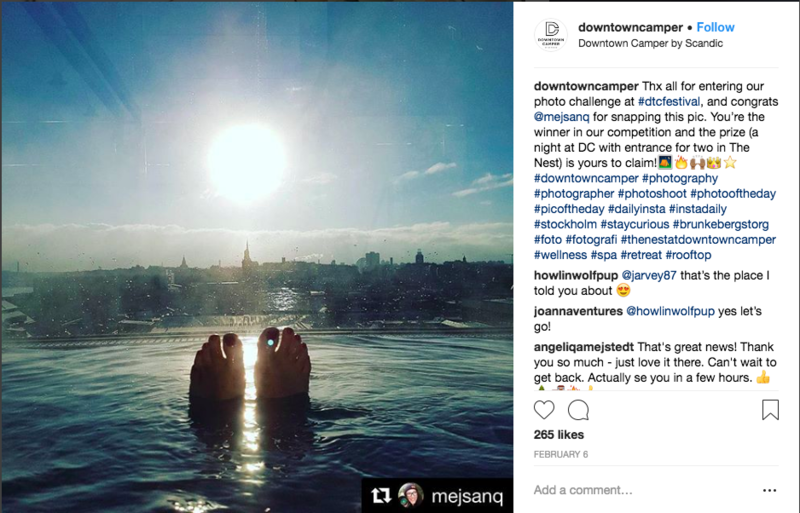 The Instagram pictures may, in the end, be the deciding factor whether this or that hotel is booked," says Michael Buller, who heads the Verband Internet Reisevertrieb, an interest group of the German digital tourism. There is also a downside to Instagram fame. Popular places like the Greek island of Santorini didn't have to wait for Instagram to be discovered by tourists, but it looks like it's brought a boost. "We don't know how many tourists travel to Santorini because of social media," says the mayor of the municipality of Thira, Nikos Zorzos. "But we're working on finding out." "The Instagram phenomenon is both a blessing and a curse," says Nicole Billi. The 39-year-old from Zurich opened the Riad BE in Marrakech together with her partner Mohamed Bousaadi in 2014. Her ten-room house is an Instagram favorite — especially the pool in the mint green courtyard, where countless babouche slippers and straw hats have already been photographed against a backdrop of colorful mosaics. Billi never expected that the small hotel would trigger such an Instagram wave, but there is also a downside. "Many visitors who come to Marrakech want to see our hotel and take a picture in the patio. This disturbs our guests, who pay for their stay with us." The owners have found a solution "Anyone who wants to visit the place must first register by email. That way, we can control that there won't be too many visitors at once." The Riad owners did not want to completely bar access to non-customers. After all, those holidaymakers are still uploading their own photos are, therefore, also advertising for them. Billi and Bousaadi post a daily picture of their riad: "We have more than 8000 profile visits per week and 300 homepage visits per day," says Billi. And since they started having such a strong presence on Instagram, booking activities have also increased sharply. Many guests now send their requests directly via Instagram: "We now receive more than 50% of our booking requests from there." But there are also Instagrammers who swim against the tide. Jannik Obenhoff is one. Boasting 763,000 subscribers, the Instagram account of this 18-year-old from Munich is one of the most influential in Germany. Obenhoff mostly shows nature shots. But if he happens to take a picture of a house, he never provides the address. And he won't give it away, no matter how insistent his followers may be. Why? According to him, it's to prevent "locations from being overflowed by Instagram pictures, because everyone will want to go there to reproduce this image."